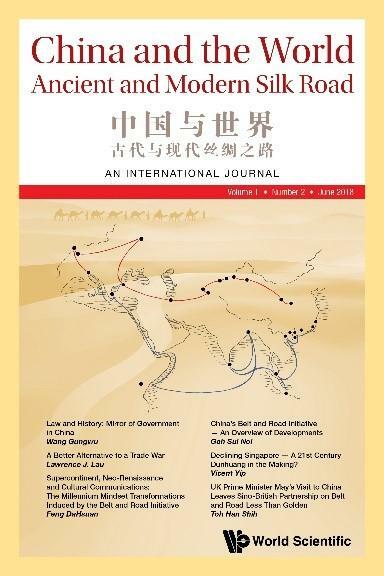 Internationally renowned publisher World Scientific's newly launched journal China and the World: Ancient and Modern Silk Road has caught the attention of top universities around the world. With the likes of Princeton, Stanford and Tsinghua subscribing to the journal, it is now gaining increasing visibility among other higher education institutions as China's rise on the global stage and its Belt and Road Initiative (BRI) comes into the forefront. Through its exhilarating policy initiatives, China is engaging the world in an unprecedented manner in the 21st century. In particular, its noteworthy efforts that include the Asian Infrastructure Investment Bank (AIIB), Regional Comprehensive Economic Partnership (RCEP), Shanghai Cooperation Organization (SCO) and the Belt and Road Initiative (BRI) will have a transformative effect on global mindsets. China and the World: Ancient and Modern Silk Road tracks the development of China's dominance and rise, and uncovers, explores and discusses the profound implications of these efforts. Comprehensive analysis of the historical, cultural, social, economic and political impact of the aforementioned initiatives will be provided through expertise and unique insight drawn from global subject experts in various fields. The executive editors of the journal includes Dr. Phua Kok Khoo, Chairman, World Scientific; Dr. Da Hsuan Feng, Chief Advisor, China Silk Road iValley Research Institute; Dr Ping Chung Leung, Institute of Chinese Medicine, The Chinese University of Hong Kong; and Chih-Lien Huang. Dr Phua said, "This journal is a timely and an important addition to scholars as well as the general public who would like to be kept apprised with the developments of China. World Scientific is proud to be a part of this publication effort."